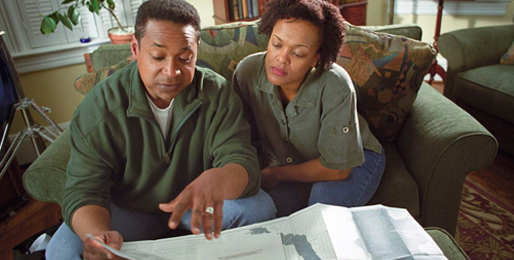 If there is a disaster, do you have a plan in place for your household? You’ve spent some time getting your emergency kit together. You have the water and non-perishable food. You have the battery operated weather radio. You have the first aid kit and the blankets. Now what? Where will you go? Last year, several hours before Superstorm Sandy hit the East Coast, I got a call from my brother. He lives about four miles away, in a similar neighborhood, but his house is in a creek valley. In fact, an inlet from the Wissahickon Creek runs right behind his house, and he worries about flooding when there is a storm with the potential for enormous amounts of rain. He was a nervous wreck on the phone. “Can we come over?” he asked. This was a fairly big ask. I have three teenagers; he has three children under seven. That’s a lot of children in one house. “Sure,” I replied with some trepidation. 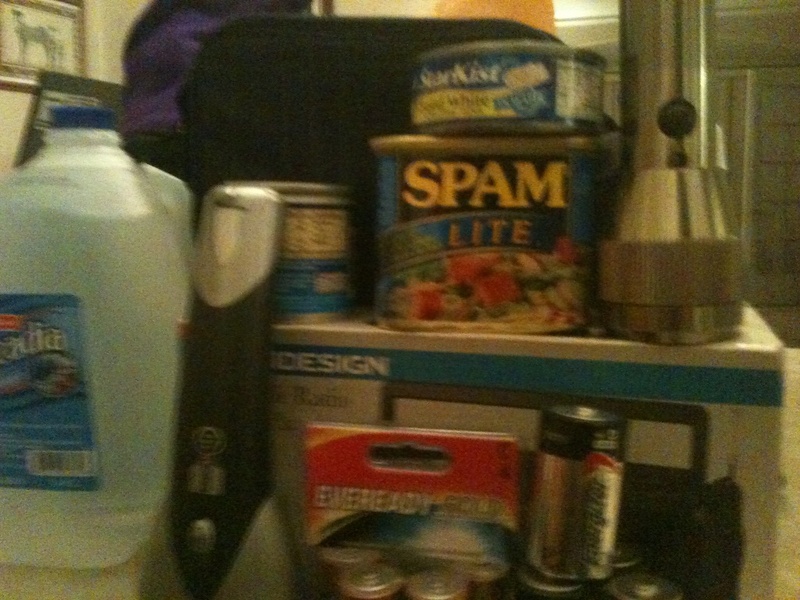 My newly “Red Cross Aware” self had made some fairly extensive preparations for the storm. My plan had not considered my brother’s family. In fact, we had never talked about the possibility of sheltering them before. I paused on the phone, trying to figure out a good way to say that my emergency planning did not include another family of five. Then, I said, “You are welcome, but please bring some water and food in case we lose power for a significant amount of time.” “Huh. . .?” he replied. It had not occurred to him that in leaving his house to shelter elsewhere, he would need supplies. He did not think that the place he might choose to shelter, while safe from flooding, would be equally vulnerable to blackouts, lack of heat and water pump failure. He had not made a plan, and he was not prepared. After thinking it through, he chose to drive his family south to his mother-in-law’s house near Washington D.C. The storm looked as if it would mostly miss the western shore of the Chesapeake Bay, and he decided they would be safer there for a couple days. This last minute plan worked out well for them. The roads south were still open and clear of traffic, and they were able to find the shelter they needed in a safe area. Even so, it turned out they could have stayed. The Philadelphia Area was incredibly lucky, and our house lost power for a very short time. Still, I invite you, dear reader, to consider how things could have turned out very differently: the storm might have taken a different path, stranding his car somewhere in Delaware; or State Troopers might have made him turn back somewhere along the way; or he might have come over to our house with his family and experienced a prolonged blackout with dwindling supplies. In other words, it’s important to make a plan. 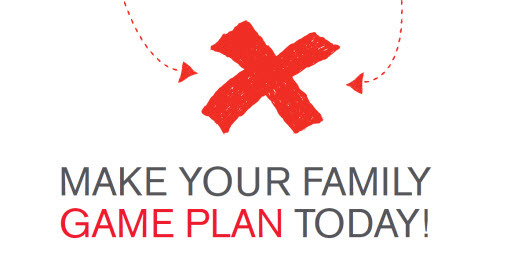 The American Red Cross has great suggestions for things to consider as you make a plan for your family in case of disaster. For instance, it had not occurred to me how my family members, now perpetually separated from one another during the day, might be apart when a disaster strikes. How would we find one another? According to the Red Cross, I should meet with my family to discuss the potential for separation, choose meeting places nearby and far away, and designate a person for everyone to call outside of the disaster area, and possibly out of state. If you might have to evacuate, like my brother, make sure you plan where you will go, who you will shelter with, and what you will need when you leave your house. Clearly, he and I need to talk. I need to take into account that I have family members nearby that may need to evacuate. And it goes without saying . . .please, all the brothers and sisters and cousins and everyone, get that emergency kit together. It could make an enormous difference. This is a hard one, folks. None of us wants to think our family will face a serious situation such as a fire or weather related calamity. But the truth is that part of preparation involves making a plan and involving everyone concerned in the details. I was thinking about disaster preparation this past June when I awoke in the middle of the night to a cacophony of wind that sounded like an enormous freight train was passing ten feet from my bedroom window. Our family was staying at my parent’s house on the Maryland Eastern Shore for the weekend, very near the town of Cambridge. Shocked by the noise level, I reached for my smart phone and pulled up a satellite map. What I saw surprised and alarmed me; the entire length and breadth of the Chesapeake Bay was covered in the bright red that these maps use to indicate a severe weather event. Usually, this type of map display looks more like a thin series of green bubbles interspersed with red to indicate thunderstorm activity. I had never seen a broad swath of red, as if the state of Maryland was wearing a sash across its center. I have always enjoyed the fury of summer storms. Thunder and lightning have never been frightening. This time, I was afraid and it was a terrible feeling. My fear was for my family. We never talked about what we would do in a weather emergency while visiting grandparents. We had some good conversations when Hurricane Irene came through the Philadelphia area – our house has a basement, we have an emergency kit, each person had a role. The house in Maryland has no basement, just a crawl space. Tornadoes are rare in this part of the world or, at least, they used to be. The red on the map looked exactly like the kind of event that could harbor – if not tornadoes – than winds of enormous destructive force. I lay there and listened for the uptick in wind tone that would tell me I had to gather everyone in the house and find an interior room. It would be difficult; none of us had ever contemplated such a situation before and everyone would be alarmed and confused. We had never discussed anything like this. 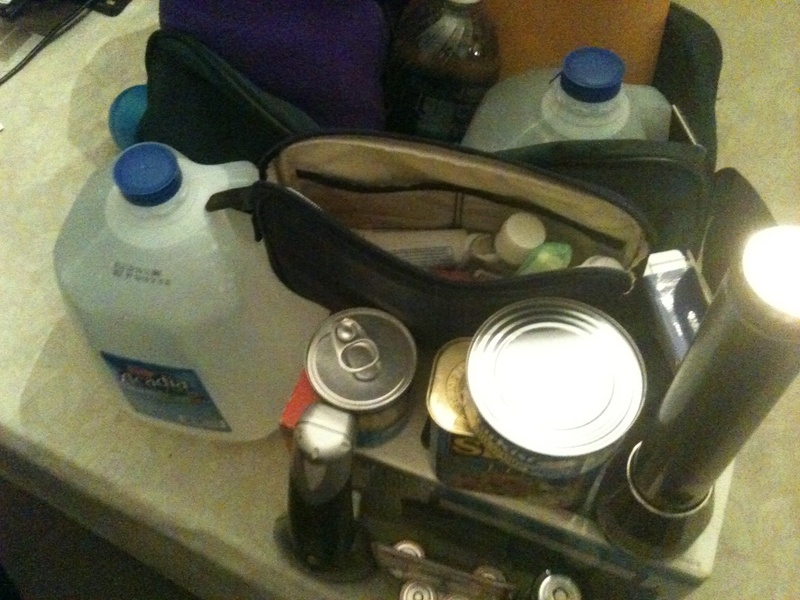 My parents, children of a time with gentler weather patterns, do not have an emergency kit that consists of more than some bottled water, a flashlight with dubious batteries and a candle. Thank goodness the wind stayed at a dull screech and we were lucky. 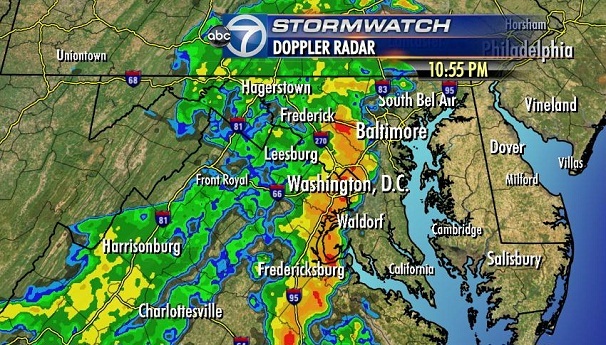 According to the National Weather Service, what occurred in Maryland on Friday, June 30th, 2012 is referred to as a derecho. Before it came to scream outside my bedroom window, it had already brought serious destruction to cities on the Western Shore: Baltimore, Washington, DC and extensive suburbs. We now know that thousands of people in those metropolitan areas lacked power for the entire week following the derecho, during one of the most serious heat waves of the year. We live in a time of changing weather patterns. Places that used to be “safe” from severe weather might no longer be able to claim that distinction. When I spoke to my family the next morning, I did not focus on my fear or the increased risk. Instead, we talked matter-of-factually about “the plan” if something like this happens again. We picked an interior room, we talked about how to turn off utilities and we made a list for a new emergency kit. We involved everyone in the discussion, from my 68 year old parents to my four –year-old nephew. Everyone felt empowered. We all felt less anxious. It was time well spent. 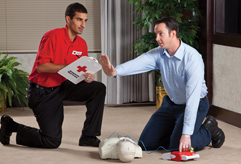 I urge you to check out what the American Red Cross has to say about making a plan and disaster preparation. Be safe; be prepared. For me personally one of the easiest ways to be prepared is to make a kit. 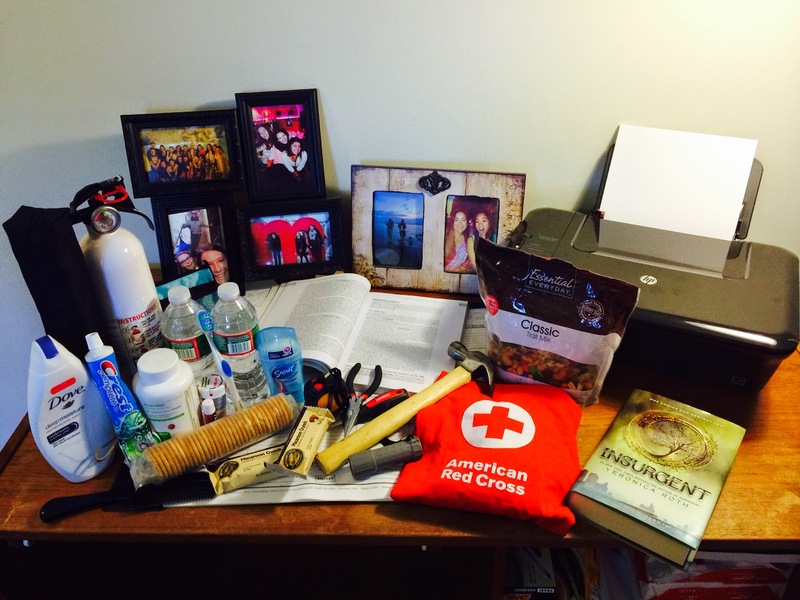 (And this does happen to be the first step of being Red Cross Ready) I remember last year when Hurricane Irene was approaching, I ran around the house making sure we had all the essential things we would need in case of a power outage. When the power did go out for several hours, me and my family sat in one area with some of these things in front of us on the floor. If every household had a kit this would make life so much easier and we could focus on some of the other things that we need to do. Your supplies should be stored in an easy to carry bag that you can use in the house or to take with your incase of evacuation. It should also be somewhere that is accessible to all members of the family. Batteries, flashlight, battery-powered radio, non-perishable foods, water and first aid kit are the first things that usually come to mind. We also need to include phone chargers, list of medications, copies of personal documents for each family member, personal hygiene items, blanket, multi-purpose tool, map of the area and cash. The American Red Cross suggests that the kit include at least 3 day supply for evacuation and two week supply for home. My mission during the next couple of weeks is to make my own kit and inform as many people as I can about making one for their family. Many of the essential items most of us already have in our homes, now all we have to do is put it all together. SO BE PREPARED AND MAKE A KIT. Get more tips HERE on what should go into your “Go kit”.